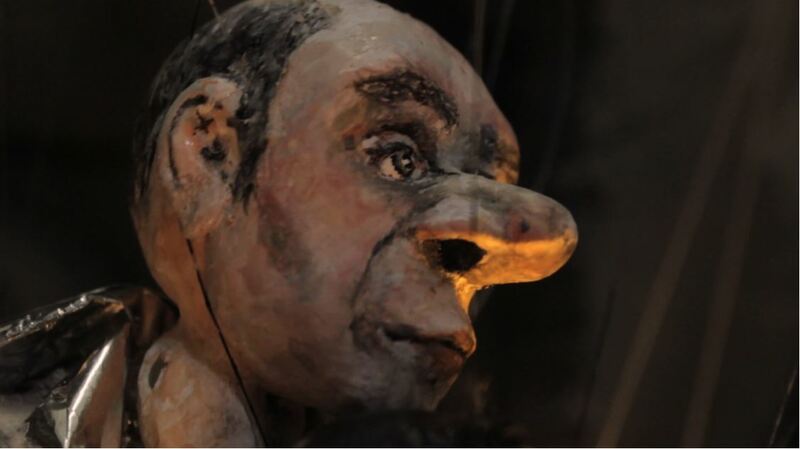 Amazing things can happen when you combine quiet, haunting music with remarkably soulful marionnettes. This stunning film by Yuliya Tsukerman is set against the evocative and otherworldly music of Man, Woman, Friend, Computer. This is not actually a quartet, but rather the musical project (and astonishingly, the debut) of composer, lecturer and classical guitarist Thomas Echols, who has recorded and toured with Grammy-nominated DeVotchKa and Grammy-winning choral group Conspirare. What results from this curious union is a symbiotic match made in heaven. Tsukerman sets her marionettes into scenes no larger than a tabletop that seem to be entire unfamiliar worlds that seem both intensely personal and alien. The expressiveness of the puppets draw the viewer immediately into the story. In “Exordium/Outgrown,” a spaceman deals with his own loss and isolation as he lovingly cares for an injured creature on an alien planet. She combines traditional Czech marionette techniques that are centuries old with materials of today plus found objects. She creates, in her words, “an analog reimagining of the space age that points to the the loneliness of the digital world, and to the new distances we create as we try to conquer the old.” The music is taken from the first and final tracks of the Man, Woman, Friend, Computer debut album, with a newly-composed interlude that connects the songs, musically and narratively, into a cohesive piece that beautifully complements the film. Music and visuals elicit feelings of sadness, alienation, loss, and oddly, tremendous compassion. Currently, Tsukerman is an artist-in-residence at Mana Contemporary. 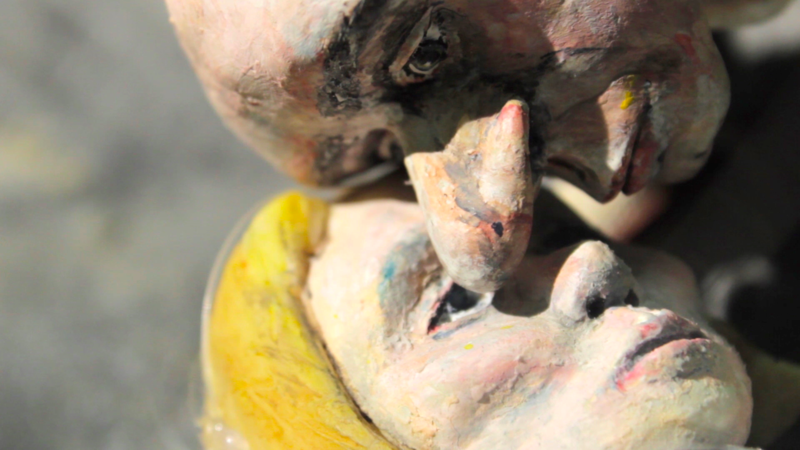 Visit her vimeo page for more jaw-dropping puppet adventures and her other projects. While this song “I Used To Cry” by Lynn is more mainstream sounding than what you’d typically see here on ‘Musings,’ it’s a powerful message and compelling video that we felt inspired to share. 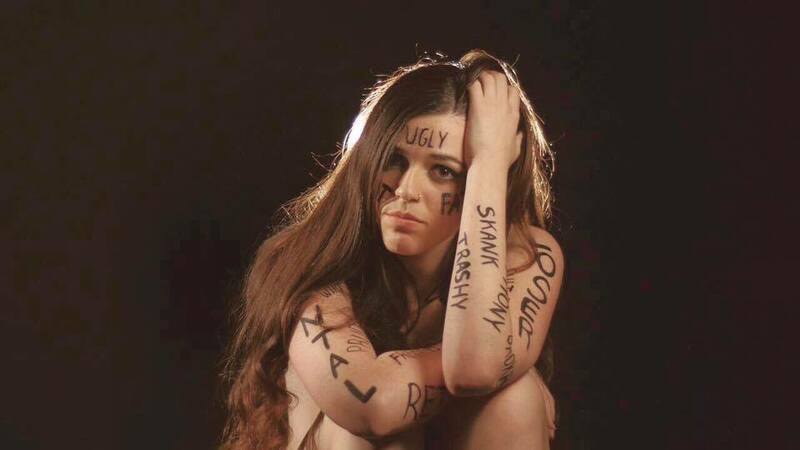 The song and its video is a strong statement against high school bullying. As an 18-year-old who struggled with ADHD and had trouble fitting into the usual school cliques, Lynn is perhaps uniquely qualified to speak out against the horrible things that teenagers can do to each other, and to eloquently point out how bullying can take a very serious toll and undermine one’s self-confidence. “I Used To Cry” was written and composed by Lynn, and it was produced by Yoad Nevo (Sia, Moby, Sophie Ellis Bextor). This song is from her upcoming EP, due out later this year. It may seem as though there are too many disturbing things going on in this world right now and too much to be concerned with to be talking about an online resource for music recordings, but don’t tell that to a record collector! These are passionate folks, dedicated to their pursuit of that one extremely rare record to complete an artist collection, or to finding previously unknown recordings from some obscure genre — Northern Soul, for example. If you spend a lot of time on eBay or in the last remaining record stores searching for elusive vinyl, or if you’ve been Googling your heart out to learn more about the records currently in your own collection, or if you wistfully remember Goldmine Magazine from back in its heyday, you need to know about Discogs. Discogs, a crowd-sourced online music information repository is “on a mission to build the biggest and most comprehensive music database and marketplace.” This enormous site acts as an encyclopedia for vinyl, with a tremendous amount of information about recordings in a mind-numbing number of different formats. It’s also something more — an extensive marketplace where users can buy or sell music in various formats. 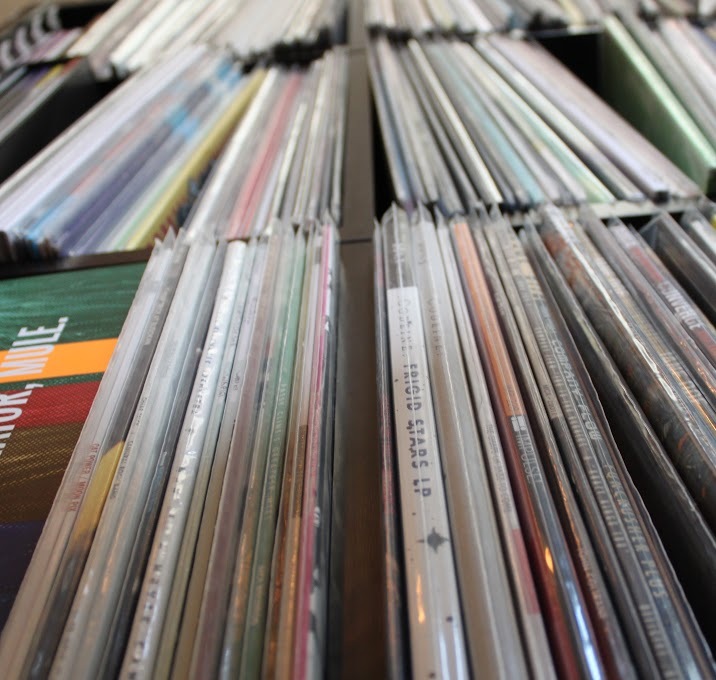 As a music marketplace, Discogs far surpasses eBay in terms of detailed information about the recordings being offered, and in connecting dealers and private sellers with a deeply engaged and highly motivated audience. For those too busy listening to their sweet vinyl to take the time to watch that video, here’s the scoop. What kind of information can I find on Discogs? In addition to the title and record label, there are details about available formats, country of origin, release year, genre, style, tracklist, additional notes and even reviews. What can I do with Discogs? You can track down rare records that you won’t find elsewhere, and look up information about the albums you already own. You can buy great vinyl (and many other formats) for your collection, or sell your recordings online to a knowledgable and appreciative audience. Why should I create a free Discogs account on their website? With a Discogs account, you can create a listing of all the records you own and look up information, current value and availability. You can also create a wish list for all the records you want. You can track all your Discogs purchases, plus you will have access to the Discogs forums to get your questions answered by expert musicologists and collectors. It would be really cool to have an easy-to-use Discog app. for my smartphone. Do they have that? Yup, there is a Discog app. for iPhone or Android. Download it now. If you haven’t realized it by now, Discogs is the perfect place to learn about music and get the most from your vinyl collection! The Joy Formidable – Leave No Trace, Live in L.A.
I’ve often said that the true test of a band’s worth is when all the electronics are turned off, and they’re left only with their voices and unamplified instruments. 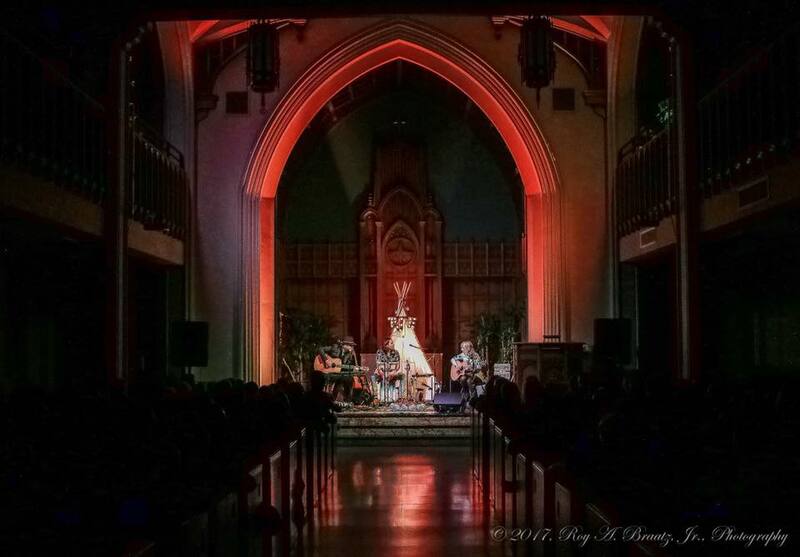 An acoustic performance, even one in such an acoustically pristine setting as the Cathedral Sanctuary at the Immanuel Presbyterian Church in Los Angeles, is a stark showcase for a band’s talents. Or lack of talents. In the case of a special performance by the phenomenal Welsh band The Joy Formidable, the result was pure magic. This stunning intimate performance back in February was part of their semi-acoustic Leave No Trace tour. The 10-song set was released as Leave No Trace (Live in L.A.). Listen to “Underneath the Petal,” featuring special guest Anna Bulbrook on violin. She performed on two songs. It was recorded (quite beautifully) by Scott Cornish, and the evening also featured guest Dan Mancini on bass guitar.